Too Cute! The most ad-awww-able animal magazine ever! Created as a one-shot by the makers of Storytime. 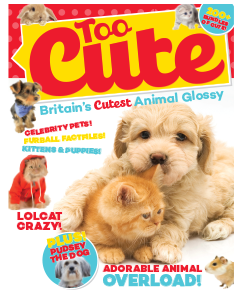 An animal lover’s dream and a magazine stuffed to the hilt with ridiculously cute images of puppies, bunnies, kittens and fluffballs galore, plus animal facts and trivia too.